Lenders tend to be cold and objective when they decide whether or not to grant a consumer's credit card application. Meet the requirements and you get a card. Fall short, and you don't. Consumers don't look at it quite the same way. A new survey from NerdWallet shows we tend to take it personally when a bank says no. The survey found 70% of consumers would stop doing business with a bank that turned down their credit card application. Rejection of any kind usually is hard to take. But the survey suggests there's an additional ingredient when it comes to financial matters. If a bank declines to extend you credit, you believe it to be a reflection on your financial standing. About half of consumers said a credit card rejection would be embarrassing and they would not tell family or friends about it. About a third believe people who are rejected for a loan or credit card are irresponsible with money, which is far from the case. 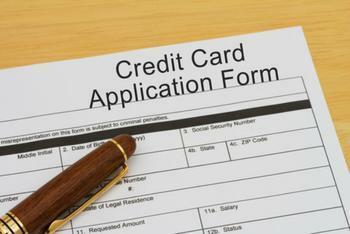 If you are rejected for a credit card, the lender is required by law to tell you why. Knowing the reason may not only make you feel better, it can be useful information. In many cases, knowing the reason why you were turned down can guide you to a lender who would be happy to open an account for you. In many cases, consumers apply for credit cards that are designed for consumers with higher credit scores. That's important, because these cards usually have lower interest rates and more generous rewards. That's because the lender considers these high credit score consumers a better risk. However, the very same lender may have other credit cards that don't have those stringent requirements. Your chances of success may be much better if you apply for a card within your credit score range. As NerdWallet points out, consumers get rejected for a number of reasons, not just because they have bad credit. They might have too much outstanding debt, a thin credit history, or insufficient income. That's why before applying for a card, it's a good idea to obtain your credit score and review your credit report, to make sure the information in it is accurate. Once you know your score, look for a card targeted to other consumers in your range. Many of the credit card comparison websites list credit cards available for those with “excellent,” “good,” “fair,” and even “bad” credit. So, with a 640 credit score you probably are not going to qualify for the Capital One Venture Rewards Card, which is heavily advertised on TV. But you probably will qualify for the Credit One Bank Unsecured Visa. It doesn't have the advantages of cards designed for excellent credit, but it will give you the chance to show you can use a credit card responsibly and raise your credit score so that you'll soon have more credit options and fewer rejections.